i love a classic rain + umbrella shot. and what a fun-looking giraffe! 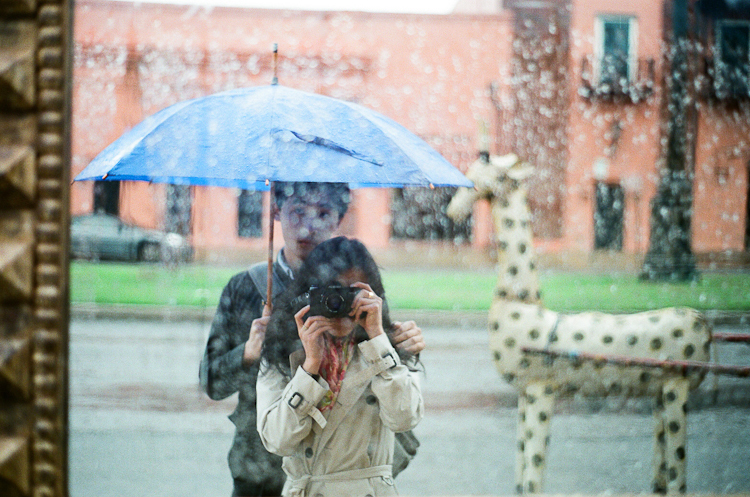 the rain is not that good when you're traveling but now it seems good in your pictures and the giraffe?! what? so funny when we notice something through our pictures that we didn't notice before! can't wait to see more! Ooh, the Kinfolk dinner! How exciting!! I can't wait to see your photos from that grand old time.